The Graduate School is hosting its Winter 2018 Thesis & Dissertation Writing Camp the week of December 17th through the 21st in W.T. Young Library. 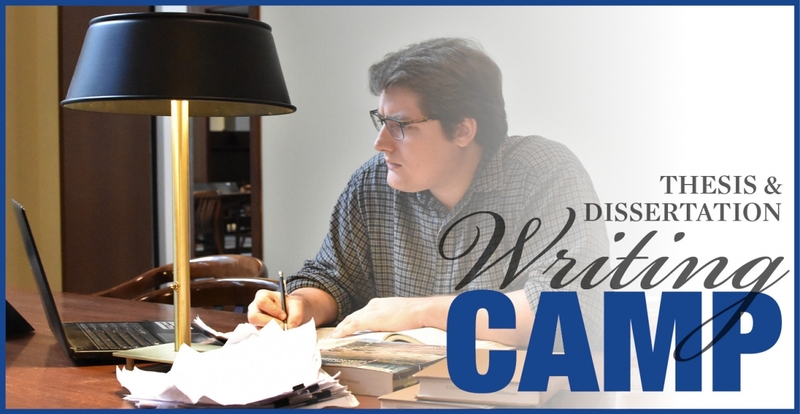 The camp provides a quiet, supportive environment for students at any stage in the process of writing a master's thesis or doctoral dissertation. Participants are expected to commit to writing from 8:30 a.m.-12:00 p.m. each day and are encouraged to attend any optional sessions or writing consultations and work through the afternoon and into the evening.